Discussion in 'Change Log' started by Drui, Jan 10, 2017. Hello, Engineers! In this week's update we are introducing the Palisade blocks - they come complete with spiked variants, battlements, and a gate. The palisade is less sturdy, but easier to build than stone castle walls and can serve as a protection in the early survival stages. They will add some nice visual flair for your castles and settlements - we can't wait to see your creations on the workshop! - Fixed some multiblock naming issues. - Fixed a rare crash with harvesting wild plants. - Fixed grass density setting not loading correctly on game start. - Fixed seeding bags not decreasing seed count when seeding manually. - Fixed research definitions not loading correctly. - Added support for dummies on the subparts. - There's a rare crash in building blocks, but we don't know why it is crashing. We've added some logging in hopes to track it down quickly. - Fixed a crash when starting a new world after doing a fresh install on a fresh system. - Fixed an issue that would cause palisades to have invalid collision meshes. - Fixed a rare crash while searching for blocks on the g-screen. - Fixed the new palisade gates not having permission settings. - Fixed sloped railings falling apart when placed in survival. - Fixed a rotation issue with multiblocks. Keen are you planning to create any Kind of Roadmap or list of upcomming/planned Big updates? That's a fine contribution and guys who build early middle ages settlements and wooden castles of that period on mottes will be much delighted. 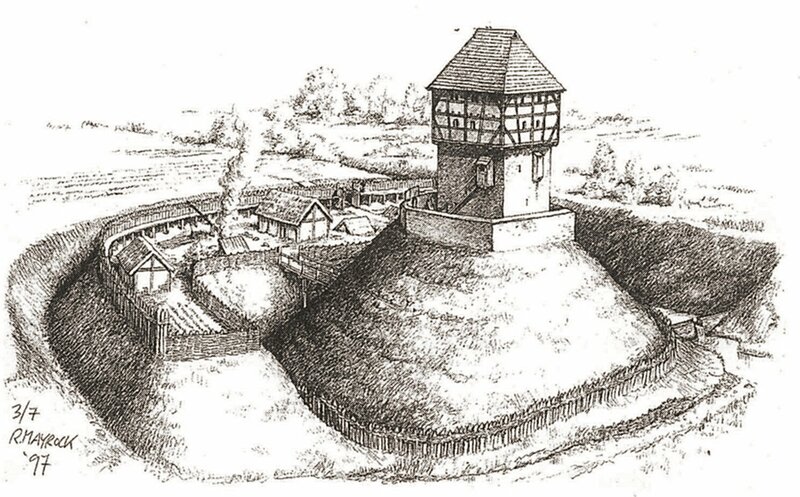 This artificial heaped up hill with the main building on top is called a motte. oh yeah time to make one of those bandit styled camps like in skyrim! but first i still need to buy ME. 10 seeds/bag is too low. The cost per return ratio is too high. Medieval life is hard but even they didn't have it this bad when it came to crops! On the other hand, their food didn't grow in an hour. It's hard to find the right balance and not end up in infinite food inflation. My mod fix had seeding by hand set to 15 uses, and by seeder 10. Because planting by hand will always be more efficient then if you use a machine. Dont forget this pessants have to pay food for ( protection ). There are two kinds of people in this world, one working and other aim crossbow. Really like the new palisades! Nice update; is anyone else having an issue placing stair railings in survival? I don't have a problem with the seeds being a finite resource. I just think that having half your crops go towards planting the next generation seems pretty inefficient. Considering that the crop is used up when making a seedbag it's even more wasteful. Having cleaned out a number of pumpkins for Halloween over the years I can tell you there's way more than 10 seeds inside one! Yeah the railings have been broken for some time now. The locking catchblocks too, they fall apart if you place them "weird" (catch lock facing up on the bottom). I created a gif of the railing breaking for reference. Nice addition, it will certainly help to make settlements more realistic. Fantastic response time! You guys are awesome! Can´t hit the palisade gate with melee weapons. Been playing around with them. Great addition! Please, please, PLEASE fix the dedicated server files. We are still suffering from the missing scenarios glitch and I can't run a server until this is fixed.